You've heard of tiny homes, but what about "Kinda Tiny Homes?" It's the latest innovative movement by the Northsiders Engaged in Sustainable Transformation (NEST) to revitalize Cincinnati's Northside. NEST buys abandoned homes and repurposes them as trendy and attractive living spaces. According to their website, it promotes a sense of community, reduces crime and improves health conditions for those in the neighborhood. 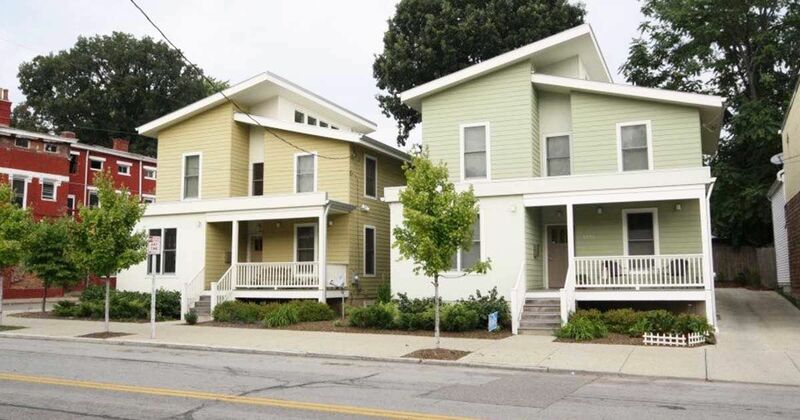 It also offers more affordable options within the Northside area for residents to purchase. Along with looking great, NEST ensures the homes are sustainable and green living spaces, building the first two Silver LEED Certified single-family homes in Cincinnati. On September 25th, NEST kicked off a big fundraising event called Kinda Tiny Bites at Urban Artifact to help raise funds for their latest project "Kinda Tiny Homes." NEST's "Kinda" tiny homes will be around 600 to 1,000 square feet each and connected to the city's sewage, electricity, water and gas lines. It is their latest project they've unveiled to rehabilitate run-down and historic homes to incorporate sustainable options in the newer homes. The event offered live music, food and tours of the Kinda Tiny Homes. The homes are perfect for anyone of all ages, from the just graduated to the just retired. Currently, nine Kinda Tiny Homes are planned for Northside, which are expected to be completed within six to nine months. The group will then move on to building another infill. Stefanie Sunderland also credits the recently reorganized Port Authority for being essential to assisting NEST with projects, including securing abandoned homes that would otherwise perish beyond repair, as she told us. With additional fundraising and community support, more Kinda Tiny Homes could be planned for the future. You can follow updates and latest projects from NEST on their Facebook page.